My personal goal this year has been to reduce the growing list of books I want to read. So far it’s going like gangbusters. I’ve never read so many books in a short amount of time – unless you count the summer I tried to read every Hardy Boys book on a bet I eventually lost. Anyway, my real goal is to read every book in popular series. I’ve missed out on way too many. The Charlie Joe Jackson series by Tommy Greenwald (…Guide to not Reading in 2011; …Guide to Extra Credit in 2012; and … Guide to Summer Vacation in 2013) fit the bill. I read the first story when it came out in 2011 and I’m featuring it today. I got a little behind on Tommy’s other stories but will alleviate that misstep soon. I went in not expecting to like the first story, especially since I’m an avid reader. But when I closed the first book I became an instant fan. FULL PLOT (From Amazon): Charlie Joe Jackson may be the most reluctant reader ever born. And so far, he’s managed to get through life without ever reading an entire book from cover to cover. But now that he’s in middle school, avoiding reading isn’t as easy as it used to be. And when his friend Timmy McGibney decides that he’s tired of covering for him, Charlie Joe finds himself resorting to desperate measures to keep his perfect record intact. 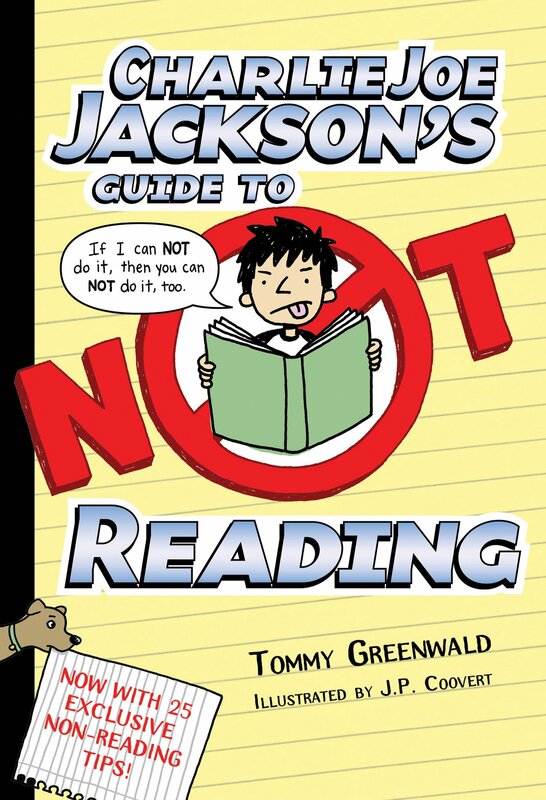 Charlie Joe Jackson’s Guide to Not Reading by Tommy Greenwald is the hilarious story of an avid non-reader and the extreme lengths to which he’ll go to get out of reading a book. The first person narrative is hilarious. Charlie Joe’s continuous banter about books, girls, parents, and school will have you quoting more than one line. Charlie Joe breaks his promise of making every chapter short. He slips in an occasional 3-4 page chapter, but reluctant readers will enjoy Chapter 27 – it’s only three words. Intermixed throughout the book are 25 non-reading tips that had one reluctant reader asking me if he could get a poster size copy of Tip #5 – a list of what to tell parents all the things you do read in a day. The simple drawings scattered about the pages that support the text. They aren’t on every page or chapter, but they visually convey Charlie Joe’s sense of humor. The first book in the series did it’s job – it made me want to read the other books with this same character. Stop the presses … Tommy Greeenwald has completed a draft of his next CJJ story …Guide to Girls. Hope to see that one in 2015. 1. And short of reading the collected works of Mark Twain, I can’t think of a scarier situation. 2. The librarian, Ms. Reedy, was an old friend of mine, even though she represented everything evil. 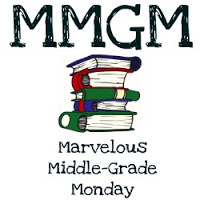 This entry was posted in Reviews and tagged Charlie Joe Jackson, Middle grade, Middle Grade Book Reviews, Tommy Greenwald. Bookmark the permalink. Way to go on your reading goal. I especially like the idea of reading at least one title from series you’ve missed. Think I may have to follow in your footsteps on that one. Great idea! And…yes, yes on that second line from the book…toooo funny! Young Charlie Joe has many more lines that will keep you laughing. Ha ha! Love quote number 2! Books with drawings and lists seem to appeal to the reluctant reader (look at the popularity of Wimpy Kid!) and funny books are always a hit. Sounds like a winner. This one is more text based than the Wimpy Kid books but the chapters zip by. This sounds like a fun read. I bet there are a lot of kids who struggle with longer books who could relate to this. And awesome you’re reading so much. Yes, don’t know how long I can keep this up. My goal this year was 25 MG books and I’m already through 14. This book sounds fun, and I’m always up for a character with a good sense of humor which it sounds like Charlie Joe has. I’m adding it to me list! I have one of the books in this series. I just haven’t gotten to it, but I will move it up the pile. Thanks for telling me about this. I saw this recently in my library and read the first chapter–hilarious! I couldn’t get it at the time, because I already had so many books, but I’m definitely going to be checking out. Thanks for reviewing it!